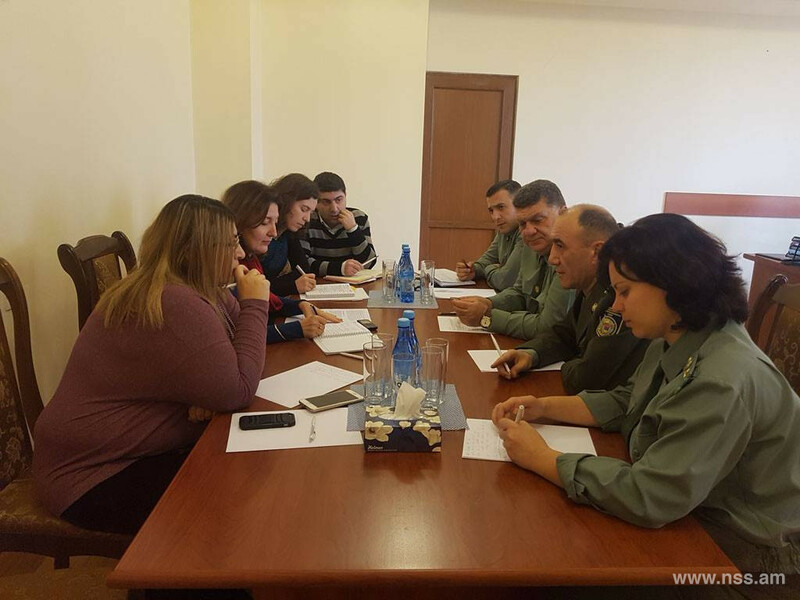 On December 24 Colonel Vaginak Sargsyan, Commander of Border Guard Troops of the National Security Service of the Republic of Armenia, received Mrs. Ilona Ter-Minasyan, Head of the Office of the International Organization for Migration in Armenia. 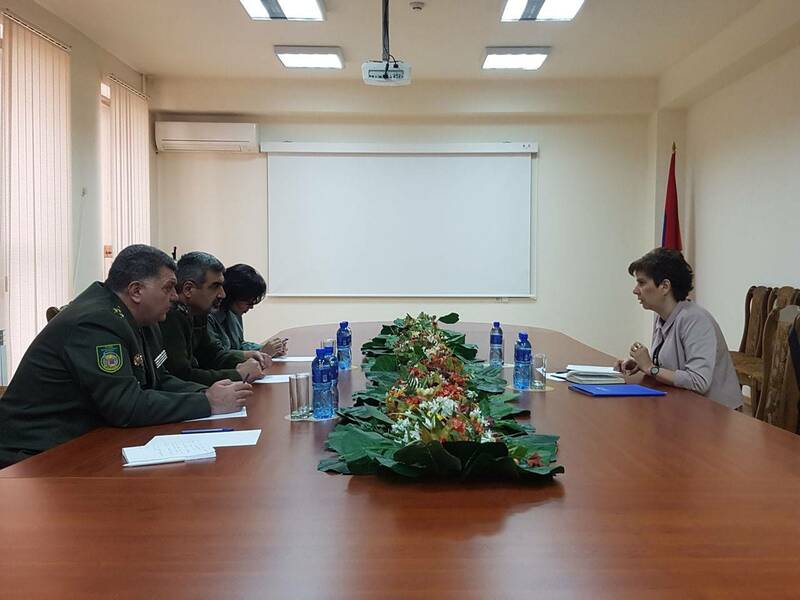 On the same day a meeting was held with the staff of the Office of the United Nations High Commissioner for Refugees in the Republic of Armenia and the Armenian Red Cross Society, they closely cooperate with Border Guard Troops of the National Security Service of the Republic of Armenia on the program “Refugee protection and Economic integration”. During the meeting prospects for the development of cooperation for 2019, possible assistance in training personnel of Border Guard Troops of the National Security Service of the Republic of Armenia, in particular the investment of new approaches in teaching and training of border guards were discussed.